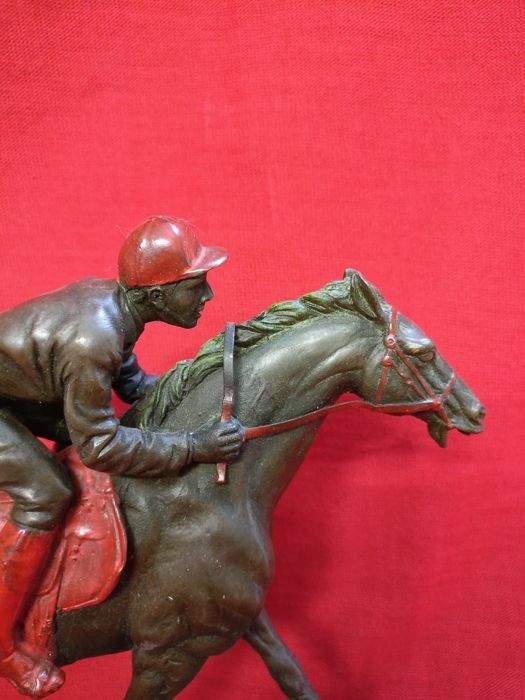 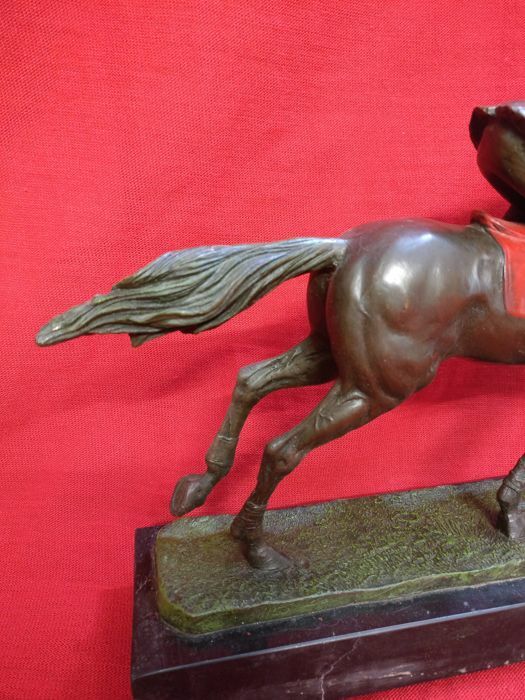 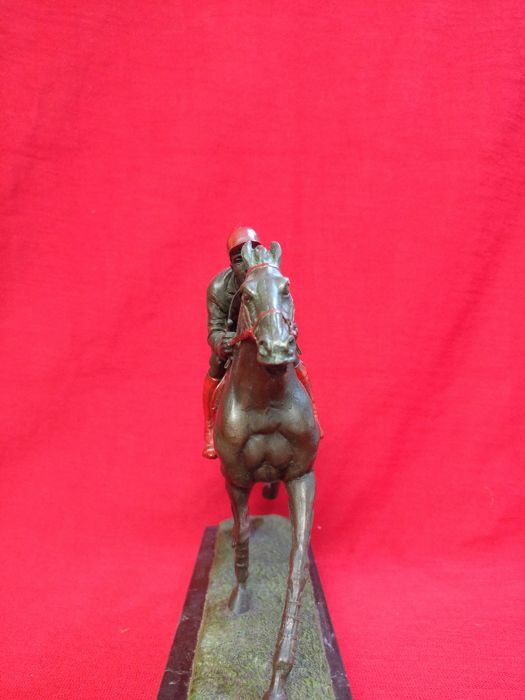 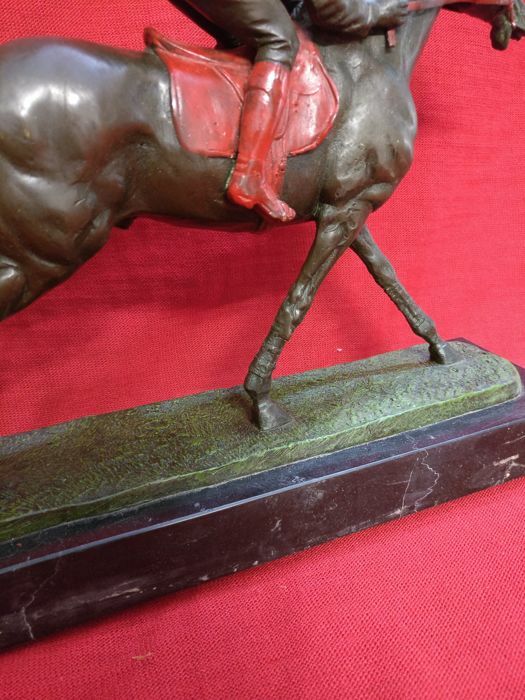 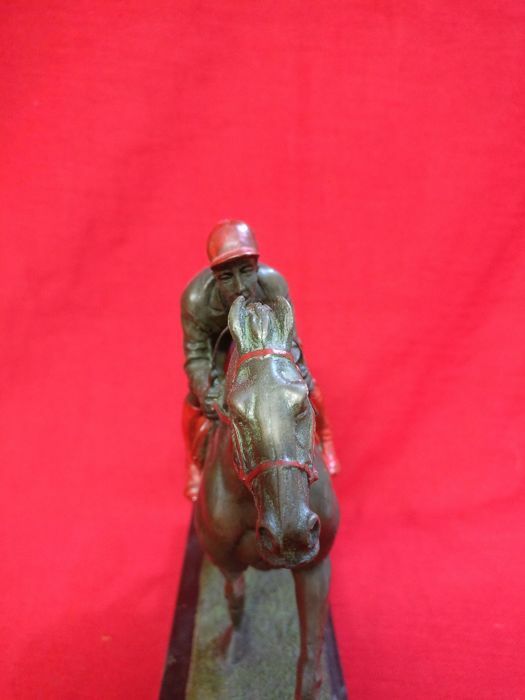 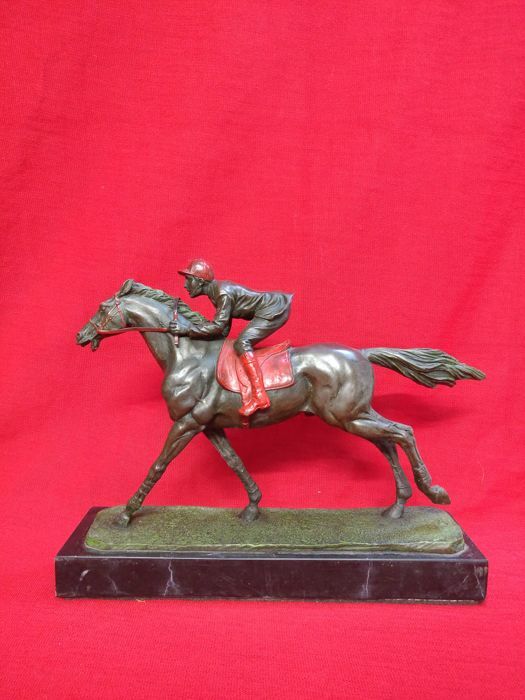 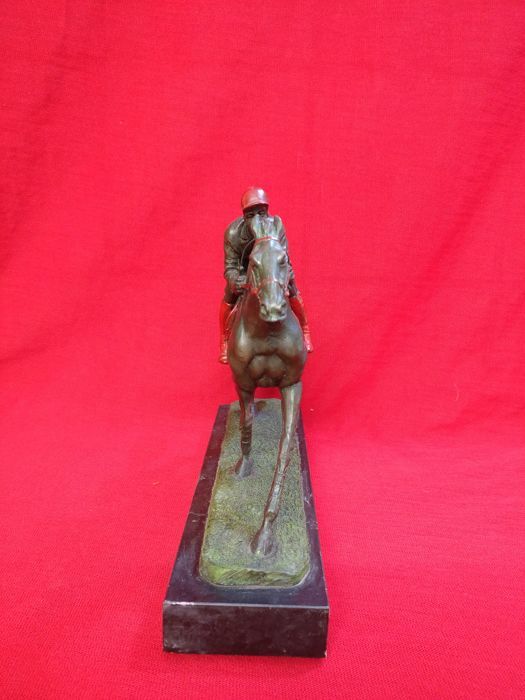 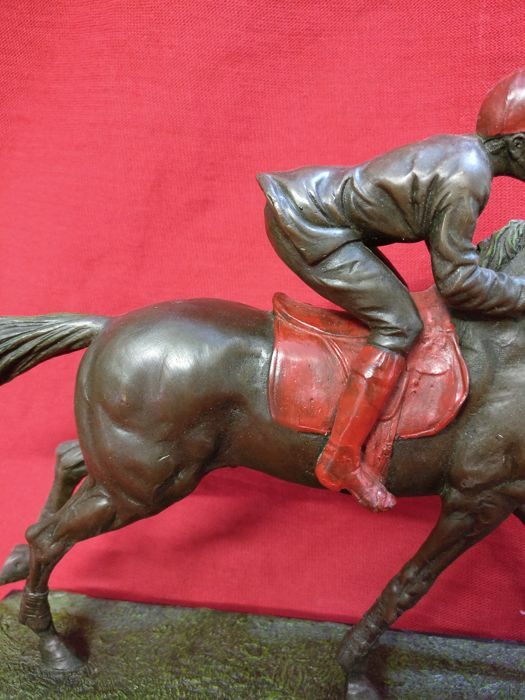 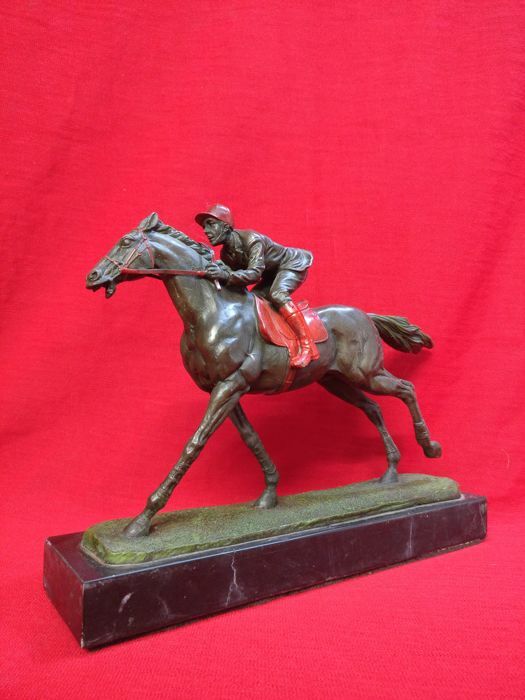 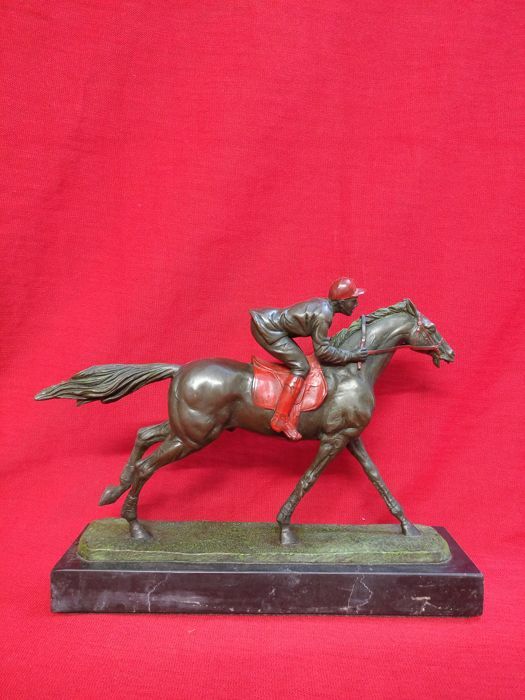 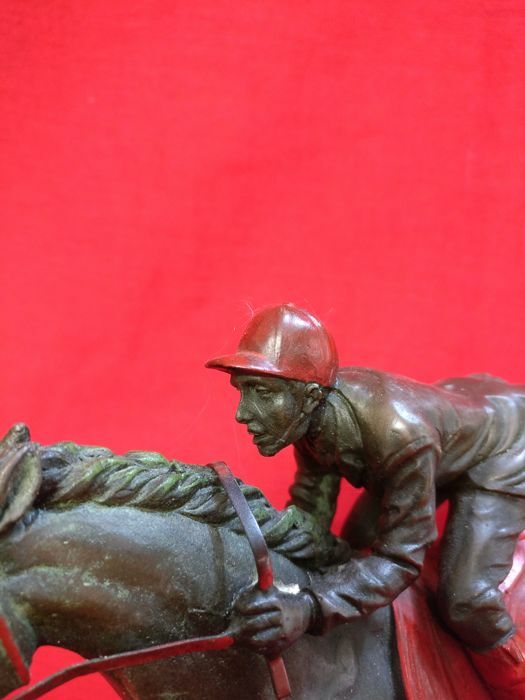 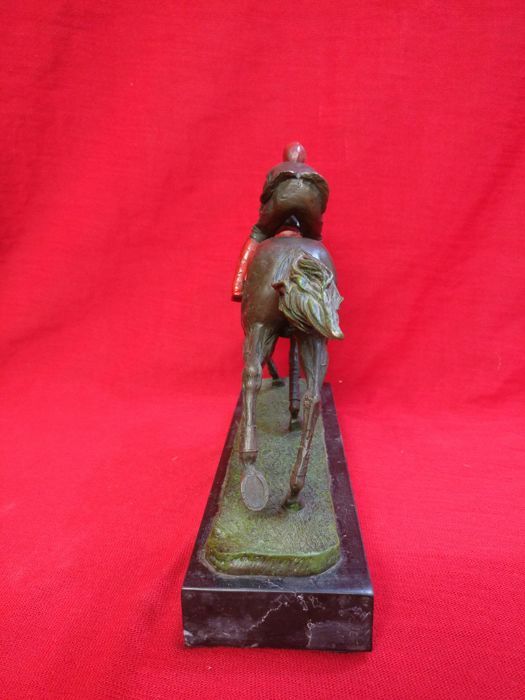 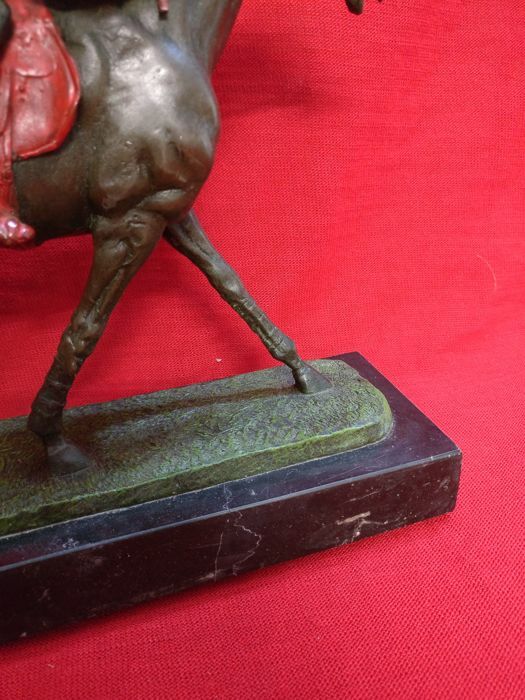 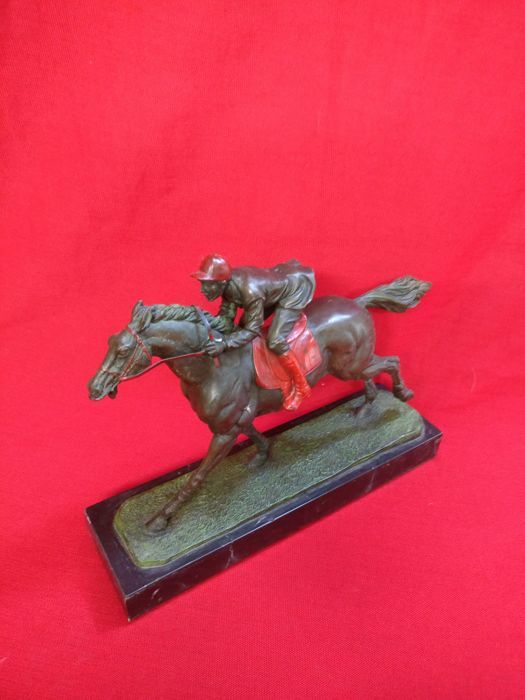 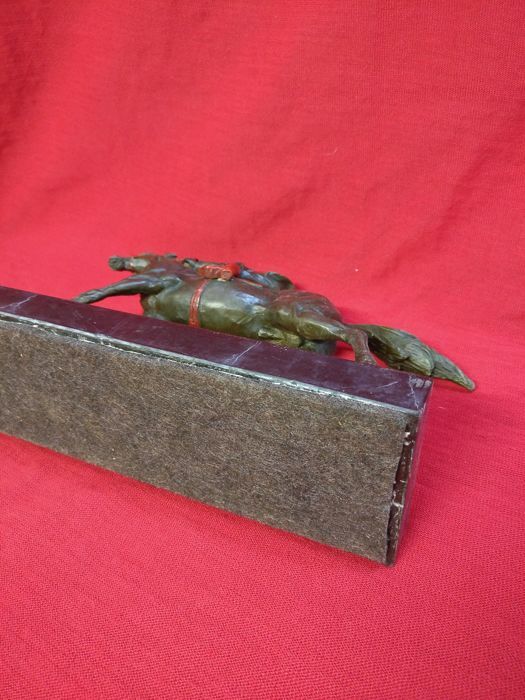 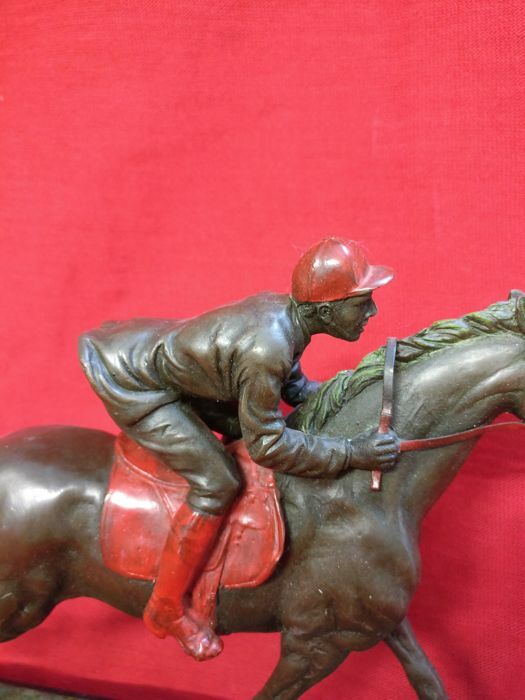 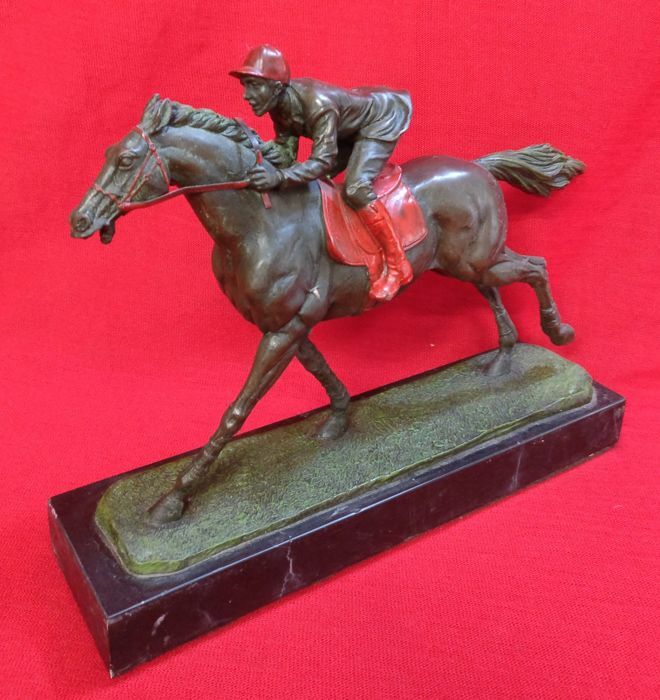 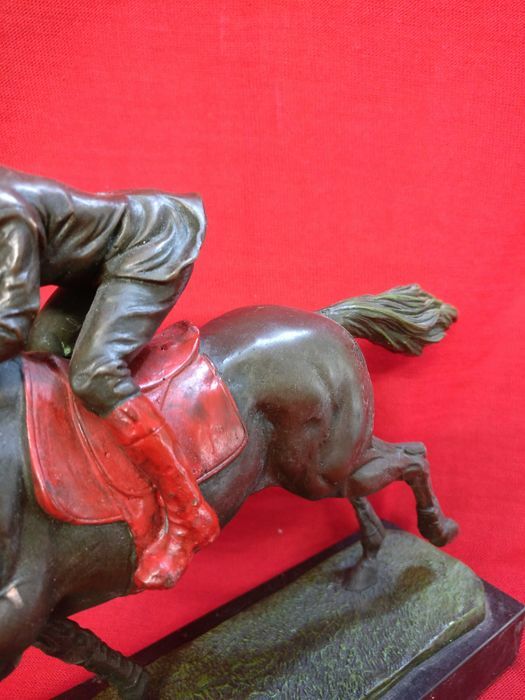 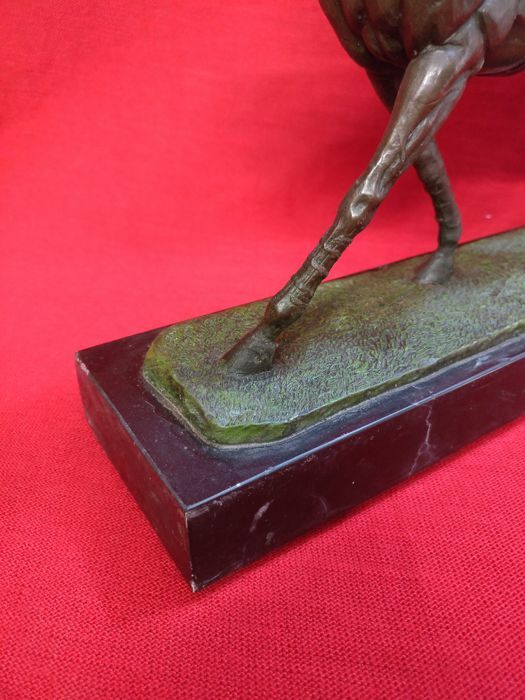 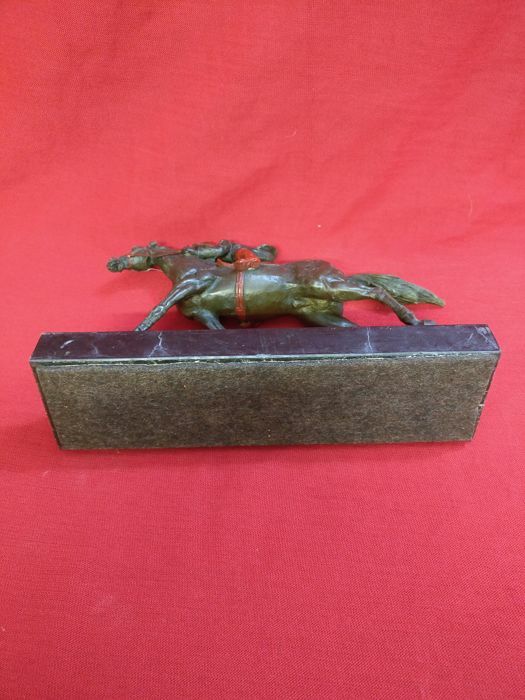 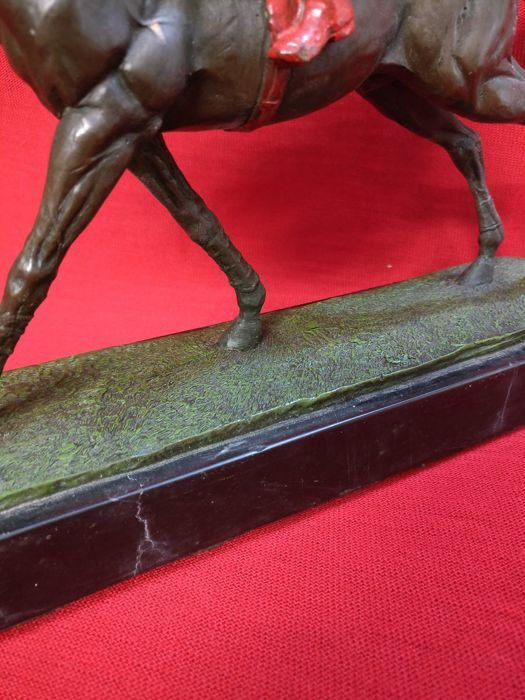 Jockey riding in bronze, lost wax casting and cold coated with black Portoro marble base. 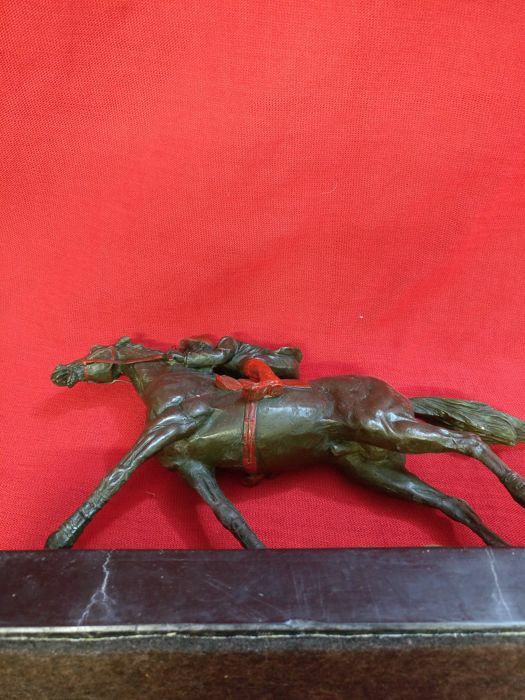 The object was used as a prize for the horse races that took place in the city. 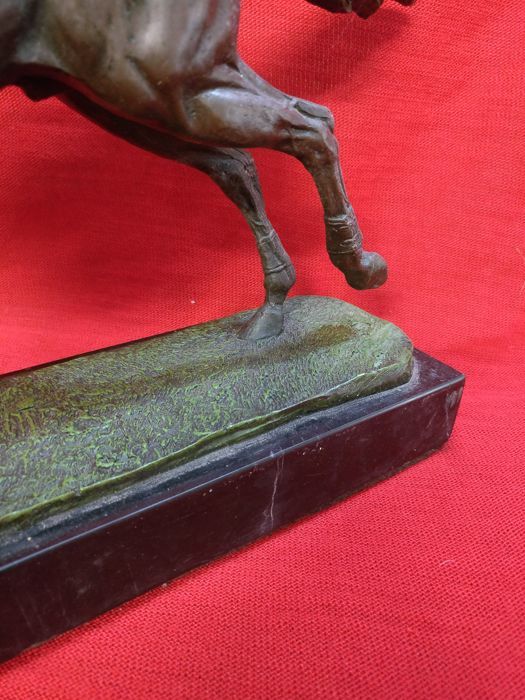 In very good condition and of excellent quality, made with attention to detail, the colours are still very much alive and vivid, origin: Siena, dates back to the 20th century. 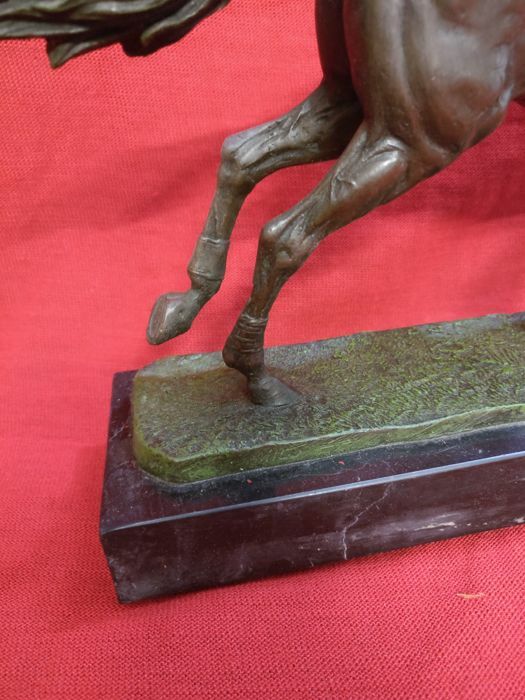 To emphasize the quality and attention to detail, the anatomy of the horse is really well defined, the muscles are under tension and almost surreal. 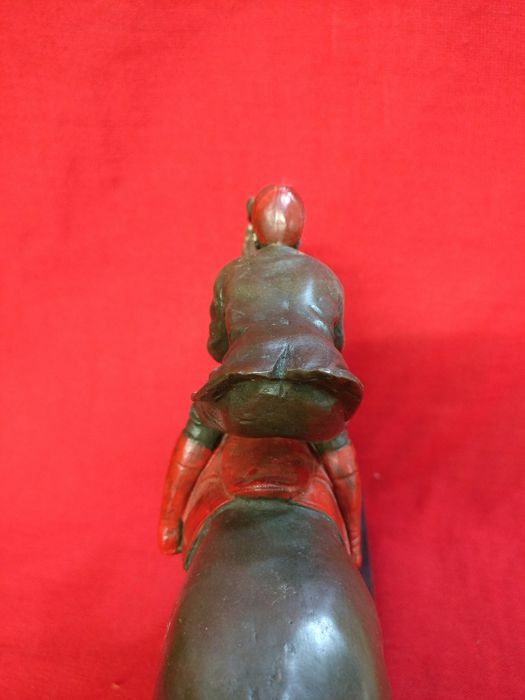 Of excellent quality. 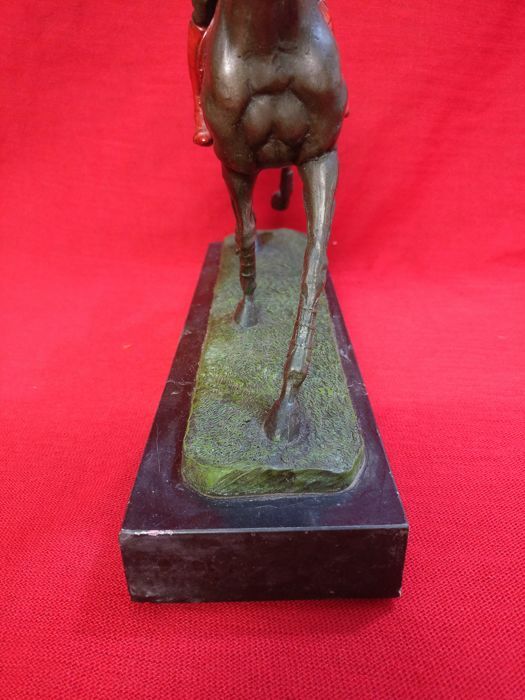 Great as a piece of furniture, paperweight and such, elegant and refined. 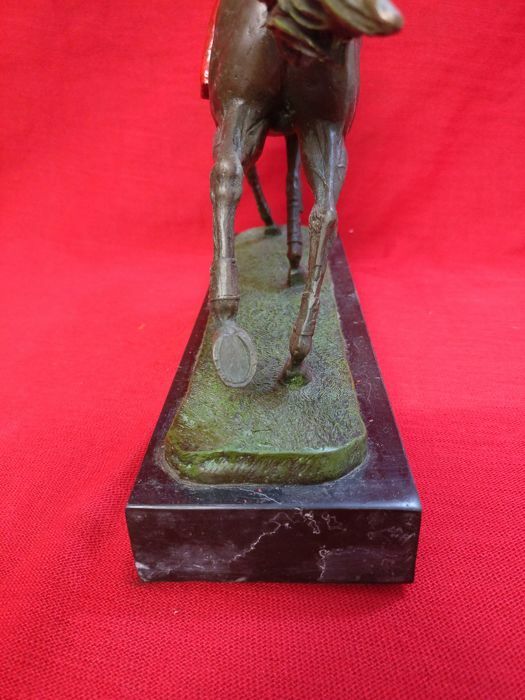 Well-proportioned and its weight is not excessive. 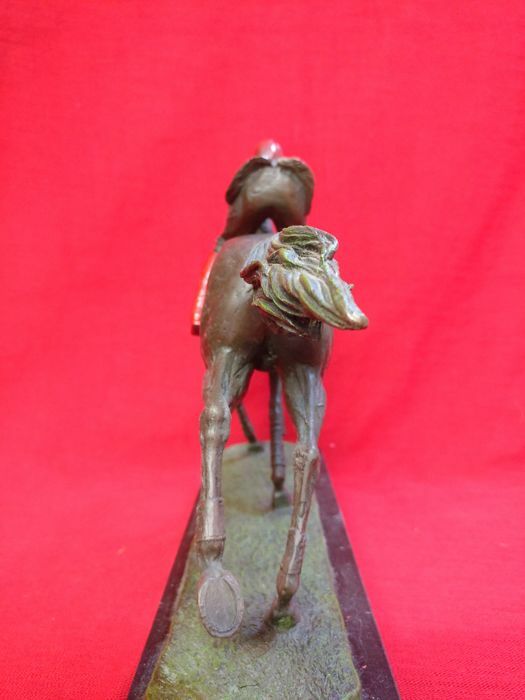 Object for true lovers, collectors. 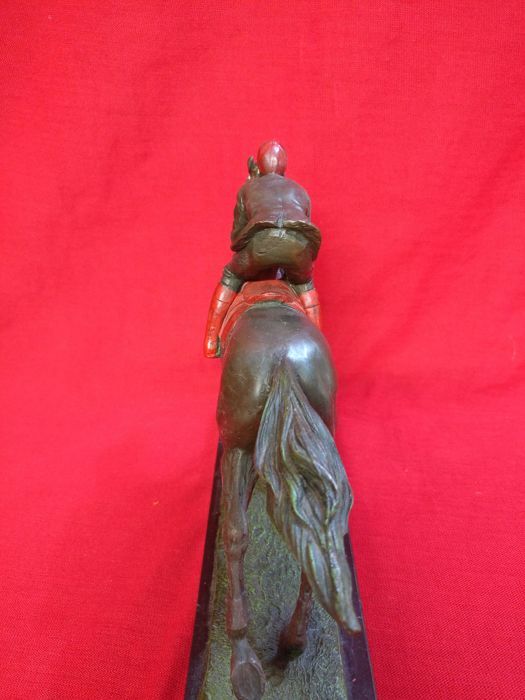 It will be shipped with appropriate packaging. 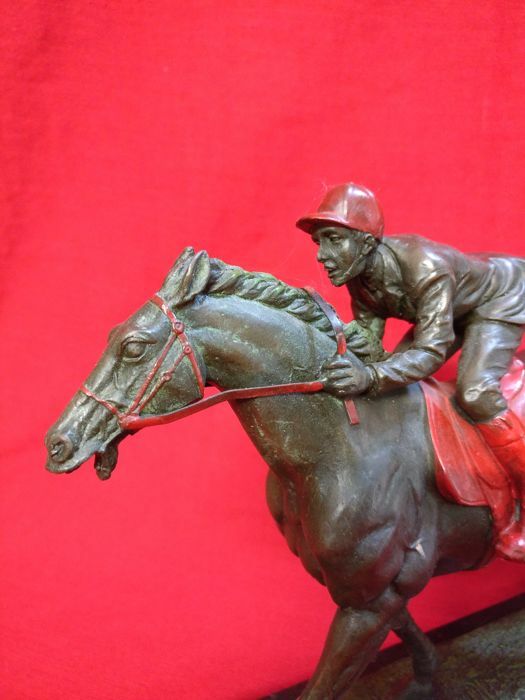 Safe and tracked shipping throughout Italy, Europe and to the rest of the world at reasonable rates. 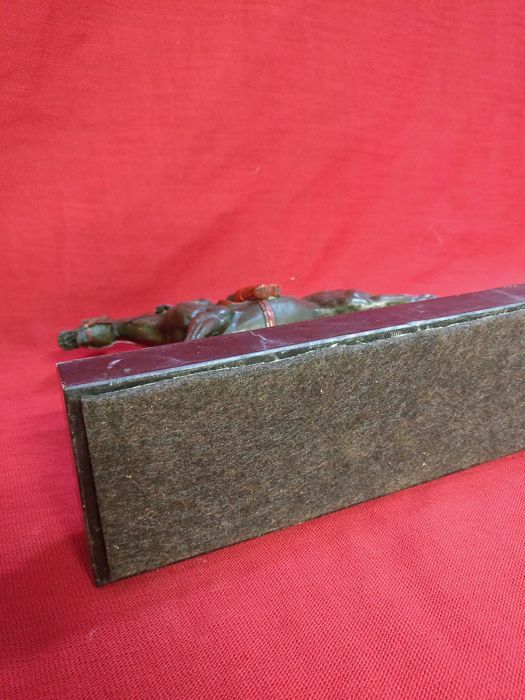 - base 28.5 x 8 cm x height 3.5 cm. 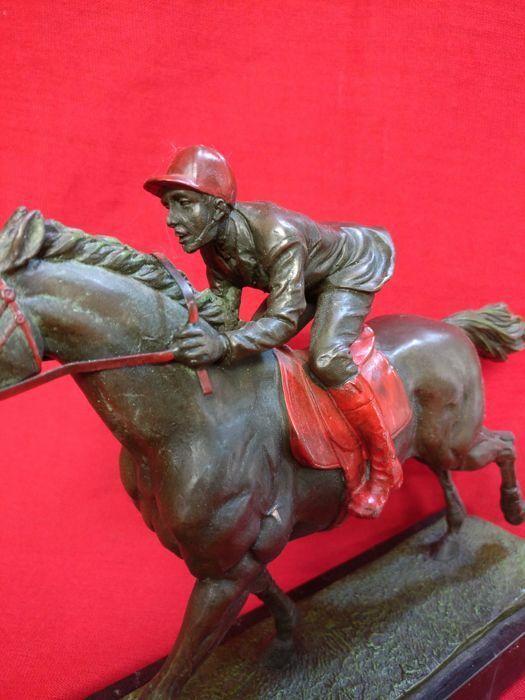 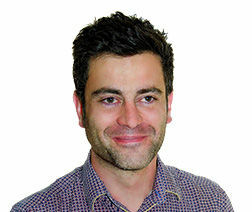 You can pick up this lot from the seller: Badia polesine (Italia, Rovigo, Veneto), Italy.